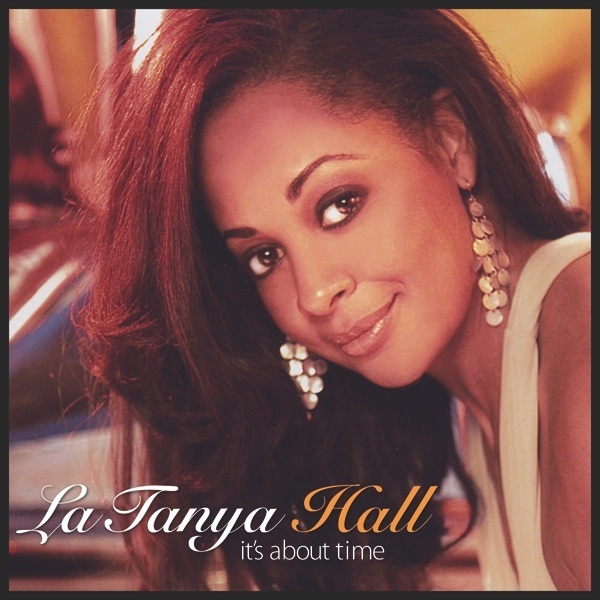 Celebrating her upcoming album It’s About Time, sensual, sensational jazz bird, LaTanya Hall, swept into a filled room at Feinstein’s trapping us in her web of beautiful vocal musicality. She has a unique blend of jazz renderings, expressing joy, pain and most of all, that four letter word. . .LOVE! Wearing a long, purple, backless gown, she was visually striking opening with “Comes Love” and “Summertime.” Her smoky yet clear sound is mesmerizing. LaTanya started singing professionally at the tender age of 13 with her father, a jazz pianist, who gave her early training in the standards and taught her to create her own style. A classically trained singer, she knew early on that jazz was her soul. She was on the road with Harry Belafonte for many years and on the occasions when she wasn’t, became a sought after session vocalist. She headlined in the final road company of Dreamgirls and toured with Diana Ross and Aretha Franklin. More recently she has toured with Steve Tyrell, Bobby McFerrin and appeared with Michael Feinstein and is a regular part of his annual Christmas show at Feinstein’s. Arrangements on It’s About Time, (Bridge Records) are by famed Angelo DiPippo and include a big band of leading New York Musicians. “Straighten Up and Fly Right” and “Fever” are as good as they get. LaTanya’s clarity and vocal interpretations are top notch, her easy style au natural. She’s sincere and direct on the quiet introspective “Like A Lover,” accompanied by Marvin Sewell on guitar, and admittedly says “I Got It Bad and That Ain’t Good” is a killer to sing. She shares her life stories, both painful and funny, with ease as if she’s known us for a long, long time. With compelling arrangements on “Skylark” and “It’s All Right With Me,” we can’t wait for the release of this album. Audience notables included Michael Feinstein, Karen Akers, Will Friedwald, amongst others. Her band of top musicians included musical director/pianist Jay Bianchi, Bruce Williamson, sax, Ben Gramm, drums, Dave Fink, bass and Steve Fitsko, trumpet. The show was directed by favorite Eric Michael Gillett. Here’s hoping that Feinstein’s gives this top talent a long run soon!